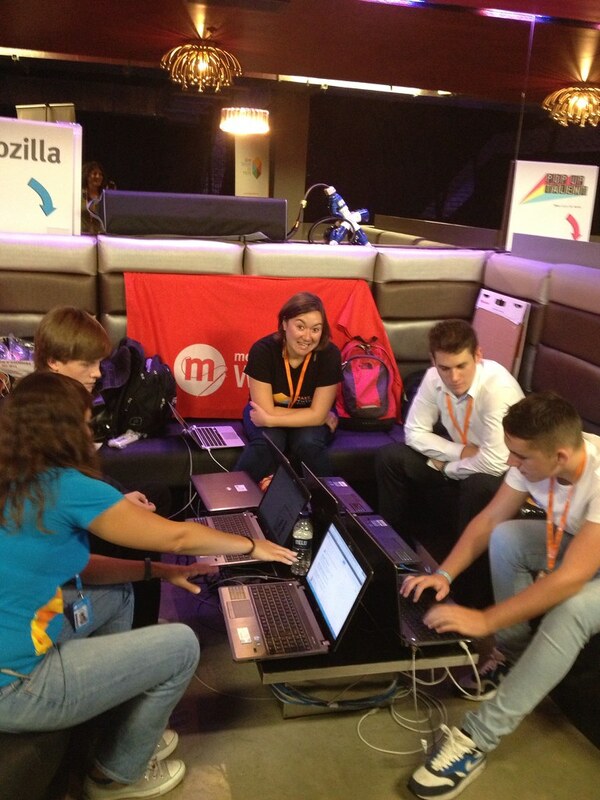 A little over a week ago I was lucky enough to help #maketheweb at Campus Party, in the O2. Campus Party, for those that don’t know, is a week long festival held every year where hackers, developers, gamers, filmmakers, educators, and technophiles galore, converge on a single location. Many camp on site, and all immerse themselves in a truly unique environment. 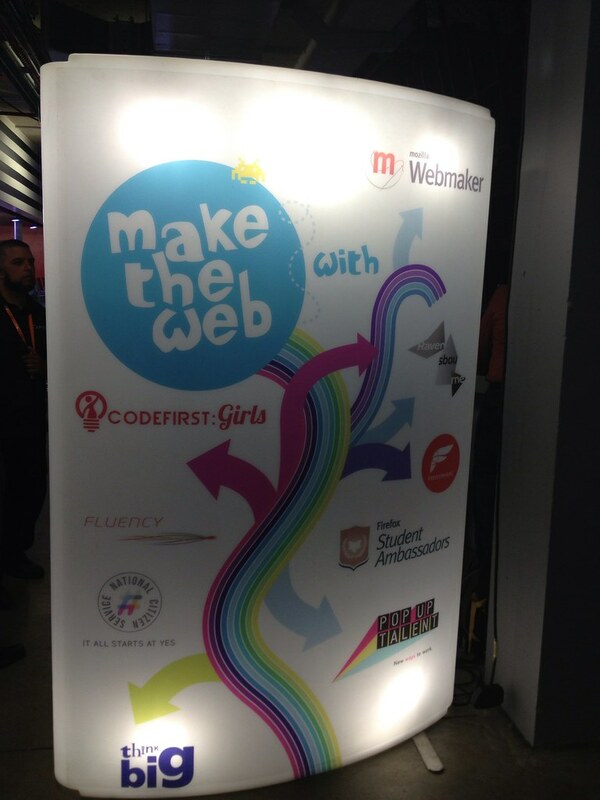 MakeTheWeb was a great space to work in with many different people from a wide range of organisations. All with the shared goal of taking the web from consumption to creation. Organisations included Think Big, Freeformers, and CodeClub, to name but a few. The space had a continual buzz, and air of creativity. Even those that came just for the free smoothies (yes! free smoothies) got their hands dirty, and made the web. My main focus for the week was of course on webmaker. Going into the week we had the idea of teaching the web using the webmaker tools, and helping plant the idea of remix into the heads of Campuseros. This quickly changed to become more about explaining the idea of remix, and web literacy. Turns out a lot of people had some of the core understandings of the coding, but were missing the web literacy portions. In addition to this we also spent a lot of time talking with future mentors, and educators about how the web isn’t read only. 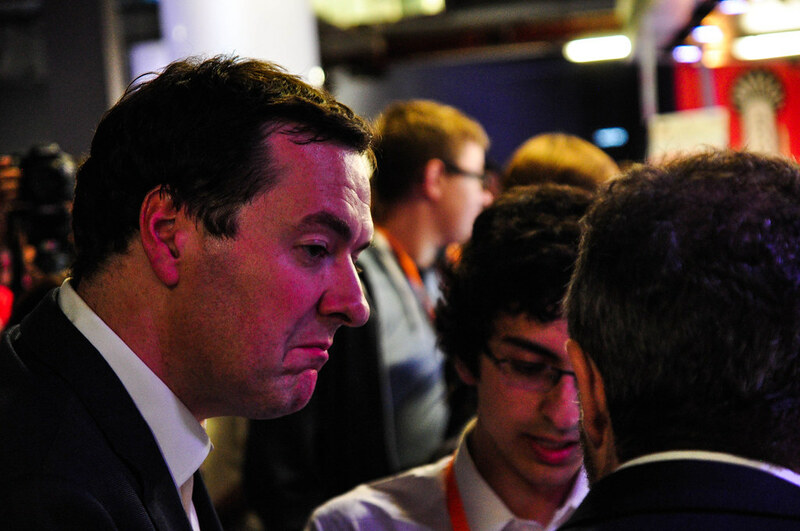 We even got a visit from the Chancellor of the Exchequer George Osborne! Despite our change in tactics we still had a lot of people who were interested in learning some code, and getting hands on time with the webmaker tools! Each day we ran a contest. We challenge the Campuseros to pit packman against space invaders, werewolves against vampires, and even pirates vs ninjas. This lead to some great makes as well as some great photos! All in all the week was a blast. So much happened that I couldn’t begin to pin down my favourite moments. However I will share with you a few of my favourite makes from the event. Response to: "New Community" or "Mozilla Community 2.0"?